Chris has worked very hard during his time with animal care! Chris is always enthusiastic and excited about whatever the animal care team is working on that day. He is always asking questions, and his passion for learning new information about the animals is obvious in his work ethic. Chris is on his way to Purple Tier. Great job! Thank you so much for all your hard work for the animals! 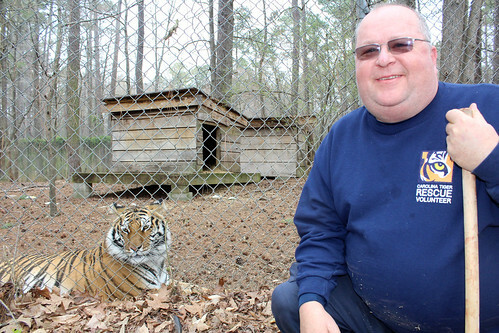 Time at Carolina Tiger Rescue: This month marks one year of service for Chris, and in the last 12 months he’s dedicated more than 150 hours of his time!